Any individual who enters, attempts to enter or in any way participates or attempts to participate in any contest, sweepstakes or giveaway (“Contest”) conducted by Mawalking Radio, (each such individual is hereinafter referred to as a “Participant”) agrees to be bound by the terms and conditions provided in these Official General Contest Rules (“General Rules”), as well as by Mawalking Radios’ interpretations of these General Rules which are final and binding in all matters relating to any Contest. Some Contests will have specific rules developed for them (“Specific Contest Rules”). In the event there is a discrepancy or inconsistency between these General Rules and the Specific Contest Rules, the Specific Contest Rules shall control. Mawalking Radio reserves the right to cancel, terminate, modify or suspend any Contest if the Contest is not capable of being completed as planned for any reason, including, but not limited to, infection by computer virus, “bugs,” tampering, unauthorized intervention, fraud, or technical failures of any kind or any other causes which corrupt or affect the administration, security, fairness, integrity, or proper conduct of any such Contest. The decision of Mawalking Radio to cancel, terminate, modify or suspend any Contest shall be final in all respects. All Mawalking Radio Contests will be described through electronic, print or on-air advertising or promotion and governed by these General Rules unless the Contest has Specific Contest Rules developed for it. Geographical, Age and Parental Consent Requirements: Unless otherwise specified, each Contest is open to legal residents of United States who are at least 21 years of age or older at time of entry. If a Participant has not reached the age of majority in the jurisdiction in which the Participant resides, they must obtain permission from their parent or legal guardian prior to entering a Contest. Contest Entity and Immediate Family Member Disqualification: The officers, directors, employees, contractors, and agents of Mawalking Radio and any entity involved in the sponsorship, development, production, implementation and distribution of any Contest as well as their respective parents, affiliates, divisions, subsidiaries and successor companies (the “Contest Entities”), and their immediate family members (and those living in the same household, whether or not related), are prohibited from participating in any Contest and do not qualify as Participants. “Immediate family members” shall include spouses, siblings, parents, children, grandparents, and grandchildren, whether as “in-laws”, or by current or past marriage, remarriage, adoption, co-habitation or other familial extension. Past Prize Winners: Participants may only win a Contest once every thirty (30) days. However, where a Participant has won a prize valued over $600, the Participant is ineligible to win another prize for a period of twelve (12) months. Participants who have won an Mawalking Radio Contest in the last thirty (30) days or who have won prizes valued over $600 in the last twelve (12) months are ineligible. Methods: Contest entries may be submitted as advertised or otherwise prescribed by Mawalking Radio for the Contest. Generally, these will involve all or some of the following entry methods: (1) telephone; (2) postal mail; (4) electronic mail; (5) drop box; (6) web entry; or (7) text entry to short code 5890. Where entry is available via electronic mail, web or texting, participation is limited to Participants who had access to electronic mail, the internet, and/or text messaging (as applicable) prior to the beginning of the Contest. 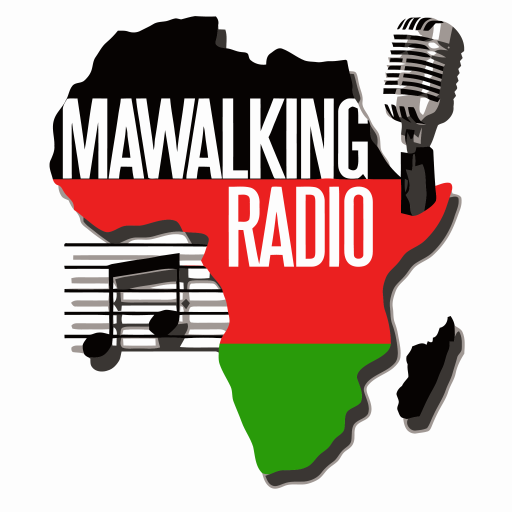 Entries Are the Sole and Exclusive Property of Mawalking Radio: All Contest entries and/or related submissions become the sole and exclusive property of Mawalking Radio upon transmission. Contest entries will not be returned and may be used by any Contest Entity for any purpose whatsoever related to any Contest, without additional compensation to the participant or any other individual or entity. Disclaimer of Responsibility for Entries: Mawalking Radio is not responsible for problems with Contest entries, including but not limited to, entries which are lost, late, misdirected, damaged, incomplete, illegible, or cannot be completed due to electronic or technical difficulties, even if the problem is the result of the sole or partial negligence of Emmis. Multiple Entries: Unless otherwise limited by Mawalking Radio, multiple entries are permitted. However, for text-message entry Contests, unless otherwise stated, multiple entries are prohibited and participation is expressly limited to one text per Participant and per wireless account. False Fraudulent or Deceptive Entries or Acts: Participants who, in the view of Mawalking Radio, provide false, fraudulent or deceptive entries or who engage in false, fraudulent or deceptive acts in connection with the Contest will be disqualified and subject to criminal prosecution. Telephone Entry Contests: If a Contest accepts telephone entries, all calls must be made to the call-in number(s) as designated on-air. Generally, this number will be 301-233-7818. The criteria for winning will generally also be given at that time. Only completed calls made to the designated number during the designated time period will be eligible to win or qualify to win. Mawalking Radio may record and/or broadcast a Participant’s name, voice and the substance of all or any portion of the call. Except where prohibited by law, any call-in Participant acknowledges that such recording and use may occur and grants Mawalking Radio permission to record and use such recording without any additional communication with and compensation to Participant. Facsimile, Postal Mail and Electronic Mail Entries: If a Contest accepts facsimile, postal mail or electronic mail entries, all entries must be received by Mawalking Radio by the Entry Period deadline. Unless otherwise stated, facsimile entries should be sent to 301-233-7818; mail-in entries should be sent via first class United States mail only (overnight mail and courier are not permitted) addressed to MWR Contest Entry (include the name of the Contest) ; and electronic mail entries should be sent to the email address designated during the Contest advertisement or announcement. The electronic mail account holder will be deemed the Participant for any electronic mail entries. Text Message Entries: If a Contest accepts text-message entries, unless otherwise stated, text-message entries should be sent to short code 5890. Proof of texting is not considered proof of entry. Emmis cannot guarantee this program will be available via all wireless carriers. The text-message portion of any Contest will be available on participating wireless carriers only and requires a two-way text-message capable wireless device. Wireless device carrier’s instructions for text-messaging may vary. Unless otherwise limited by Mawalking Radio, multiple text-message entries are prohibited for any Contest and participation is expressly limited to one text per Participant and per wireless account. If more than one text-message entry is received from a wireless account, only the first entry received will be considered. Even if alleged to be caused by the sole or partial negligence of Mawalking Radio or other Contest Entity, Mawalking Radio and the other Contest Entities are not responsible for any problems which affect, or result from, Participation or attempted Participation in the Contest. As consideration for entering a Contest, all Participants agree to RELEASE, DISCHARGE AND COVENANT NOT TO SUE Mawalking Radio and the other Contest Entities (as described above) and each of their respective direct and indirect affiliates, divisions, parent and subsidiary companies, officers, employees, disc-jockeys, on-air personalities, shareholders, representatives, managers, members, directors, owners, agents, insurers, attorneys, predecessors, successors, and assigns thereof (collectively, the Released Parties), from and against all claims, damages, charges, injuries, losses, proceedings, suits, actions (including but not limited to tort actions, product liability actions, wrongful death actions, warranty actions, breach of contract actions, privacy and defamation actions, misappropriation of likeness actions, identity theft, loss of consortium claims), expenses and attorney fees that they or anyone on their behalf (including but not limited to their heirs, representatives or next of kin) have or might have for any death, injury, damage or claimed injury or damage arising out of, involving or relating to their participation in the Contest, including, but not limited to, any claim that the act or omission complained of was caused in whole or in part by the strict liability or negligence in any form of the Released Parties. The actual prizes and value of each prize will vary for each Contest. Descriptions of prizes will be announced for each Contest separately. No transfer, assignment or substitution of a prize is permitted, except Mawalking Radio reserves the right to substitute a prize for an item of equal or greater value in the event an advertised prize is unavailable. Any difference between the actual value and the approximate retail value of any prize will not be awarded. No substitution or cash equivalent will be made. Mawalking Radio reserves the right to substitute a prize of equal or greater value if the awarded prize in unavailable for any reason. If tickets to an event are awarded as a prize, Mawalking Radio is not responsible for any cancellation or rescheduling of the event for any reason and has no obligation to reimburse, refund or otherwise substitute the tickets for another prize should the event not be rescheduled or vouchers not issued. Should travel be part of the prize, Mawalking Radio is not responsible for cancellations or delays in travel accommodations and has no obligation to reimburse, refund or otherwise substitute any tickets awarded as a part of a travel prize due to such cancellations or delays. Prize winners will be selected per the criteria announced for the Contest. If the Contest requires Participants to answer trivia, provide information or otherwise perform in some manner to participate and qualify to win, the decisions of Emmis and/or the other judges will be final as to all matters including the accuracy and/or completeness of the answer, as well as the quality of the information or other performance. If a winner is unable to be notified for any reason for any amount of time, the applicable prize may be forfeited and awarded to an alternate winner. Claiming the Prize: The Participant prize-winner must contact Mawalking Radio at 301-233-7818 to set up an appointment to pick up their prize at Mawalking Radios’ business office. The prize may be picked up any time between the hours of 9:00a.m.-5:00 p.m. (Eastern Standard Time) Monday-Friday, excluding holidays. From time to time, in its sole discretion, Mawalking Radio may agree to mail the prize. In the event that a prize is mailed to the winner, the winner will initially be sent any required releases and prize claim forms along with a return, pre-paid overnight delivery air bill. Failure by the winner to return completed forms within five (5) business days may lead to forfeiture of the prize. In the event the prize is mailed to the winner, the winner assumes the risk of the prize’s safe arrival. Prerequisites to Prize Award: Prior to being awarded a prize, winners are required to provide (1) a valid government-issued photo identification depicting proof of age and (2) a valid taxpayer identification number or social security number. The social security number will be used for tax-reporting purposes. Mawalking Radio reserves the right to deny awarding the prize if the winner fails to provide satisfactory identification, as determined in Mawalking Radio’ sole discretion. Prize Forfeiture: Unless otherwise stated, winners shall have thirty (30) days from the date of selection to claim and pick up their prize. Failure to claim and pick up prize within this time for any reason will result in forfeiture of the prize. Mawalking Radio reserves the right, in its sole discretion, to award unclaimed prizes to alternate contestants or not to award the unclaimed prizes. Unless prohibited by applicable law, Participant authorizes and irrevocably grants to Mawalking Radio and the other Released Parties (as defined above) permission to, from time to time, reference and discuss Participant and their participation in the Contest on-air and/or on their website(s) in photographs, video recordings, digital images, audio recordings, as well as in publications, newsletters, news releases, other printed materials, and in materials made available on the Internet or in other media now known or hereafter developed for any purpose Mawalking Radio and/or the Released Parties deem proper. Such reference and discussion may involve Participant’s name and voice, and other personal/biographical material or their participation on-air. All participants agree to be bound by these General Rules. Non-compliance with any of these General Rules will result in disqualification and all privileges as a Participant will be immediately terminated. Mawalking Radio, in its sole discretion, further reserves the right to disqualify any person for: (i) tampering with the entry process or the operation of the Contest; (ii) gaining an unfair advantage in participating in the Contest; (iii) obtaining winner status using false, fraudulent or deceptive means; or (iv) engaging in otherwise unsportsmanlike, disruptive, annoying, harassing, or threatening behavior. CAUTION: ANY ATTEMPT BY ANY PARTICIPANT OR ANY OTHER INDIVIDUAL TO DELIBERATELY CIRCUMVENT, DISRUPT OR DAMAGE ORDINARY AND NORMAL OPERATION OF ANY CONTEST, TELEPHONE SYSTEMS OR WEB SITE, OR UNDERMINE THE LEGITIMATE OPERATION OF ANY CONTEST IS A VIOLATION OF CRIMINAL AND CIVIL LAWS. SHOULD SUCH AN ATTEMPT BE MADE, MAWALKING RADIO RESERVES THE RIGHT TO SEEK DAMAGES FROM ANY SUCH INDIVIDUAL TO THE FULLEST EXTENT PERMITTED BY LAW. Mawalking Radio reserves the right in its sole discretion to supplement or make changes to these General Rules as well as the rules of any contest at any time without notice. Mawalking Radio reserves the right in its sole discretion to interpret the rules of any contest, and such interpretation shall be binding upon all participants. This Contest shall be governed by and construed in accordance with the laws of the State of Maryland, without reference to its conflict of laws principles. By entering the Contest, Participants hereby submit to the jurisdiction and venue of the federal and state courts of Maryland and waive the right to have disputes arising out of the subject matter hereof adjudicated in any other forum. In no event, will any Participant be entitled to injunctive relief or equitable relief of any kind, or restrain the continuation of any Contest. Copies of these General Rules (as well as any Specific Contest Rules) may be obtained by sending a self-addressed stamped envelope to: MWR Official Contest General Contest Rules (or the Specific Contest Rules) These General Rules may also be found at www.mawalkingradio.com.